If you’re like us, you find yourself taking more and more pictures with your smartphone instead of your normal camera. That really messes up our procedures of getting the pictures from the camera to the computer and organizing them there. How do we get the pictures from the smartphone to the computer? If you are a Geeks on Tour member, you can watch some past tutorial videos on how to transfer pictures by attaching a cable from the phone to the computer: Import Pictures with Android and Import pictures from an iPad/iPhone. But now, there is an even easier option. 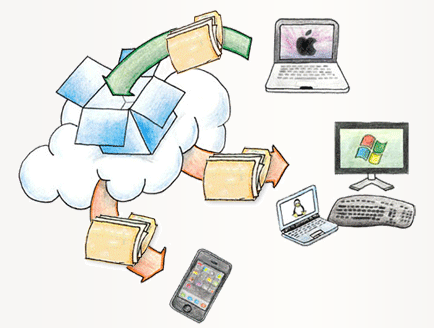 Dropbox, is the indispensible Cloud storage and synchronizing utility. We’ve written about it several times, and mention it in almost every seminar since it’s our Dropbox folder where we store all our seminar materials! Dropbox also has a special feature called “Camera Upload.” It is nothing short of magic! Now I take a picture on my phone and the next time I sit down at my computer, that picture is there in the Dropbox/Camera Upload folder. The Free version of Dropbox starts you out with 2GB of storage space. If you’re going to upload pictures from your smartphone to your Dropbox account, you’ll need more! The folks at Dropbox realize this. If you install the latest version of the Dropbox App on your Android or iPhone, you will earn up to 3GB in additional storage. You will earn the additional storage for every 500MB that you actually use in Camera Uploads. Once you’ve used it, you can move the photos from your dropbox folder to your Pictures folders and you still have the extra Dropbox storage available to you. You must already have a Dropbox account. This means you have an account on www.Dropbox.com and you also have downloaded the app to your computer and have a Dropbox folder on your computer. Download and install the latest Dropbox App on your phone. Get it from the App Store on your iPhone or iPad, or the Play Store on your Android phone or tablet. Make sure the Camera Upload option is turned on for the App on your mobile device. Notice in the screen image at right that you have the option to allow the uploads only when your phone is connected to WiFi. This means that it won’t use up the GB on your data plan. It also means that the upload may not be instant. If you want the upload instantly, and don’t mind using your cellular data plan, then choose the second option. That’s it! From now on, when you take a picture using your phone, it will automatically be uploaded to your Dropbox account online, AND synchronized with your dropbox folder on your computer. We have such fun showing this in our seminars. I feel like a magician. I take a picture of someone in the front row of our seminar using my phone. Then I immediately set the phone down, raising my hands in the air. “Look Ma, No hands!” While Jim is sitting at the computer, which is projected onto a big presentation screen, he opens the Dropbox Camera Upload folder and voila! the picture I just took is there. The Camera Uploads folder on your computer, is within the Dropbox folder. You can view it using Windows Explorer (or Macintosh Finder) just like any other folder. I check it regularly and move the pictures from the Camera Uploads folder to a current folder in My Pictures. This leaves the Camera Uploads folder empty for receiving new uploads, and Picasa will see the new pictures in My Pictures the next time you open Picasa. Published by MrsGeek, in Blog. Tagged with Dropbox Camera Uploads, Geeks on Tour. I haven’t joined as a member yet because I don’t think your video tutorials are captioned. I am deaf and want to check that out first. Brenda, We are looking into captioning, but as of now – you’re right – none of them are captioned. I have downloaded the drop box but I can’t get the HDR pictures to up load to the drop box and I am having a problem uploading pictures from the PC to the drop box am I doing something wrong or don’t these two app’s work this way? That’s because the HDR pictures aren’t part of your standard Pictures on your phone. I’m checking into the possibility of changing the storage location of the HDR photos – but I haven’t figured that out yet. Meanwhile, if you’re viewing an HDR picture, you can tap the share icon and share with Dropbox. Ok, so how do you get pictures from dropbox to picasa? Dropbox is just a folder on your computer. So, you use windows explorer to cut the picture files from dropbox and paste into an appropriate folder under My Pictures. MrsGeek…Does this have any advantages over automatically syncing photos with Google+? It seems Google+ gives me up to 15 GB free photo storage. That supposedly includes Gmail, Google Drive and Google+ accounts combined. They don’t even count photos uploaded with Picasa at its default upload size of 2048 x 2048 (web viewing size in Picasa). Both Google+ and Facebook have the capability to auto upload your phone’s pictures to your account on their servers. What dropbox adds is the automatic download from their servers to your computer. Thanks MrsGeek…That’s what I was missing! That really is an advantage because it automatically synchronizes the cell phone photos with our other computers and I can back them up automatically from one of them onto our NAS. Now I’ll follow your tutorial and set up my SGS 4 and my wife’s iPhone. Thanks so much for the tip. Thanks for the “Dropbox” info. I just loaded it onto the laptop and Galaxy S3. Now I’m wondering if I need both dropbox and the “cloud”? I confess I know little about the cloud and how to use it. If you have iCloud enabled on your PC or Mac computer(s) and iDevices, PhotoStream will do the same thing. But does it have an Android version? I see some references to an iCloud for Android, but it doesn’t show up in my Play Store. I do use iCloud between my iPad and PC, but it doesn’t seem to synchronize changes to pictures. Just adds new. Dropbox just works SO quick and nice.